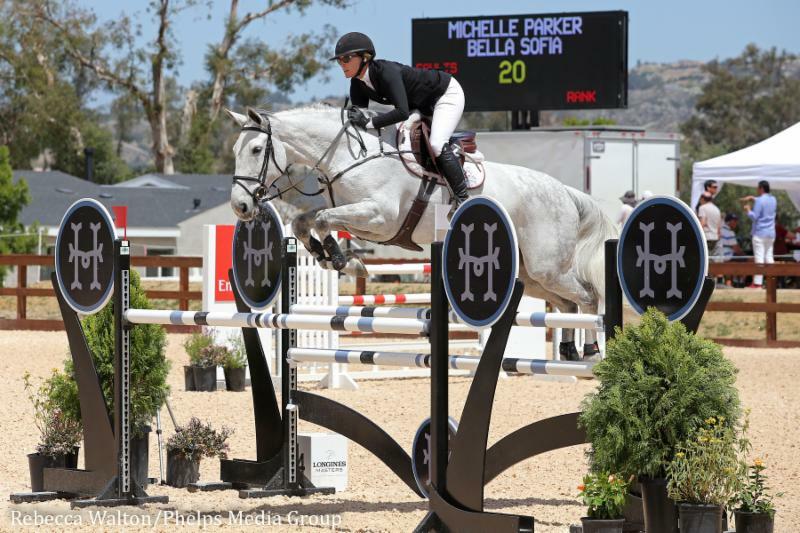 Michelle Parker’s name topped the leaderboard twice on April 21, the penultimate day of competition at the Temecula Valley National Horse Show in Temecula California. 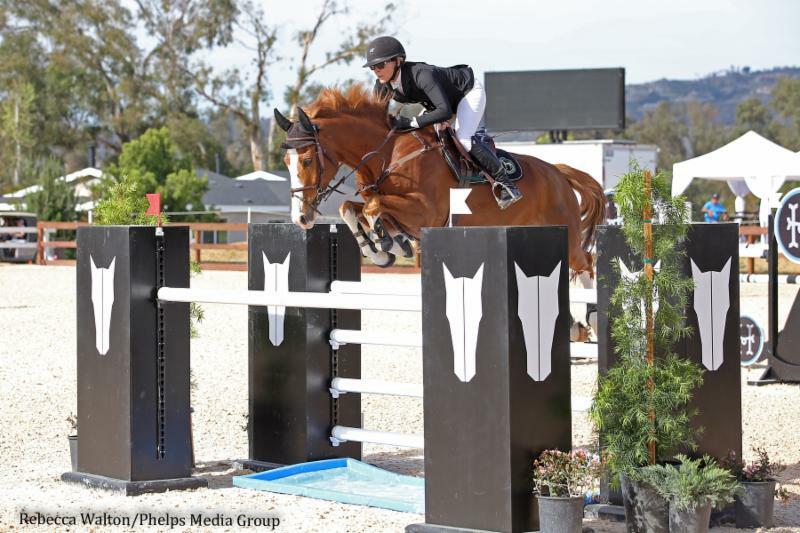 She kicked off the day with a win in the $10,000 1.35m Shires Speed Classic aboard Bella Sofia, and then returned for an even bigger win when she topped a 9-horse jump-off during the $40,000 Snapbac National Grand Prix with Cupilor. Michelle Parker and Cupilor 2. Photo by Rebecca Walton/Phelps Media Group. 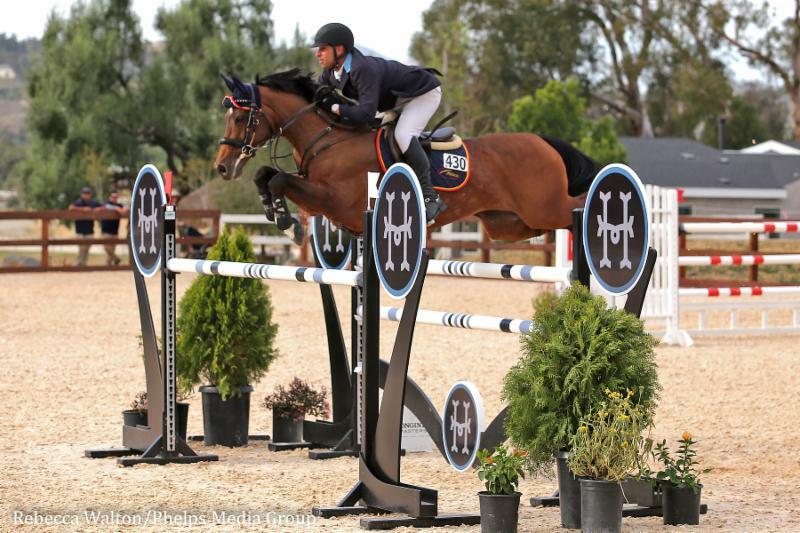 Renowned course designer Anderson Lima’s track challenged 31 competitors, each of whom attempted to take home the biggest check of the week during the $40,000 Snapbac National Grand Prix. Nine athletes advanced to the tiebreaker, which required horses to be quick and careful with a very long gallop to the final vertical. Parker was the first to return with Cross Creek Farms’ Cupilor, and with eight entries left to challenge her, she did not hold back. Leaving out a stride in one of the early lines and picking up a blazing pace for the final fence, the duo stopped the clock in an unbeatable 39.77 seconds. John Perez and Utopia took second. Photo by Rebecca Walton/Phelps Media Group. The last athlete to tackle the tiebreaker was John Perez riding Daniel Rihan’s Utopia, who came the closest to catching Parker when he and Utopia broke the beam in a clear 40.51 seconds, which would be good enough for second place. The third-place honors went to Molly Talla with her own Complete Luck, who were also faultless over the course with a time of 41.40 seconds. Michelle Parker and Bella Sofia. Photo by Rebecca Walton/Phelps Media Group. The show jumping action kicked off earlier in the day with the $10,000 1.35-meter Shires Speed Classic, and with ten double clear efforts it was once again Parker who proved to have the quickest effort, this time aboard Antonio Ramos’ Bella Sofia in a fiery 29.828 seconds. Kaitlin Campbell and Enjoy Life, owned by Sweet Oak Farm, took home the second-place honors with a time of 30.587 seconds, while Russell Morgan and Jeronimo Bisschop rounded out the top three when they broke the beam in 31.612 seconds.